Printing-Customized to meet YOUR Needs: Banners, Rubber & Self Ink Stamps, Engraved Signs, Invoices-Receipt Books-Work Orders- ANY & ALL CUSTOM Multi-part NCR FORMS. BRAND IT-The Wyoming Way to Advertise! 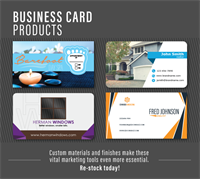 We can Brand YOUR Company Name on all types of Customer Freebies to promote YOUR BIZ. Anything from pens, travel mugs, flashlights or lip balm to blankets, frisbees & binders. OFFICE SUPPLIES- From Ink/Toner & Printers TO Chairs & Desks PLUS Jan-San. SPECIAL ORDERS on Office Supplies from our Denver Warehouse TWICE WEEKLY - Freight FREE!! 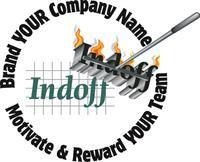 Indoff Branch Partner Since 2006.